On Saturday 30th of June 2018 our friend and colleague Eoin passed away at the young age of 53. His passing was sudden and unexpected and a devastating blow to all who had the pleasure to know him. Those who did know him know just how unique and special an individual Eoin was. He had a great smile and a cheery hello for all. He was a young man, full of life, fun and vitality and we had no reason to suspect he would leave us so suddenly. The YCW Movement and the Gospel were central to Eoin’s life. 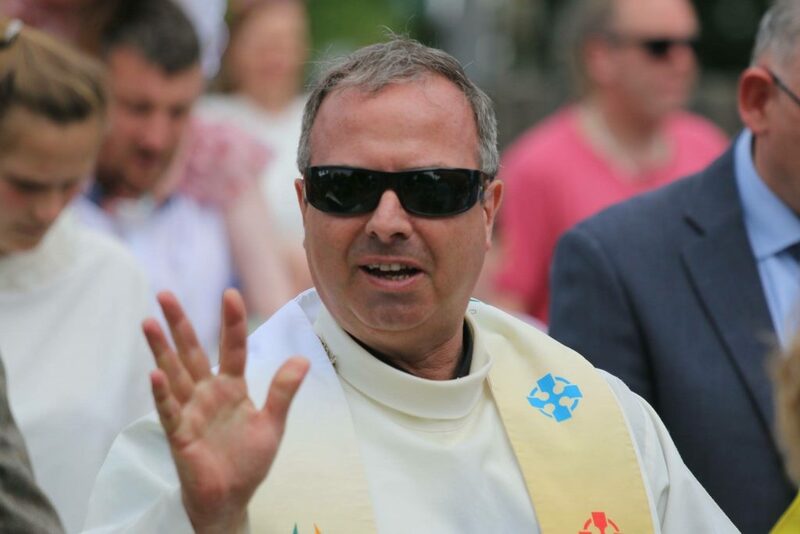 He first began his YCW journey as a teenager when he joined an Impact group in his parish of Ballyfermot in Dublin and quickly became regional president, working on many campaigns and actions, activating young adults to make a real difference in their lives and the lives of those around them. 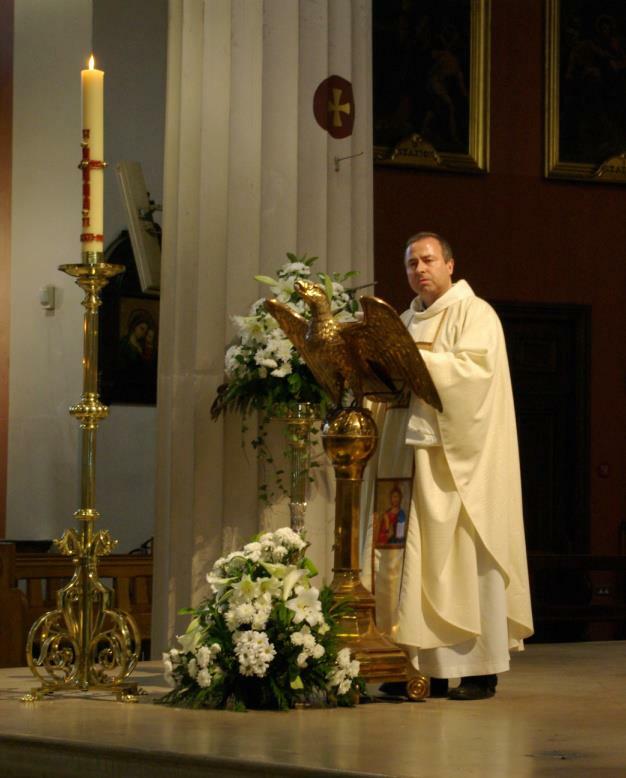 It was his experience in YCW that helped to lay the foundations of his Priestly ministry. Eoin was ordained on the 21st of July 1990 in the parish of St. Nicolas of Myra, Francis Street where he had served as a Deacon. During this time he worked closely with my own YCW group there, training us young YCW’s to See, Judge and Act in the light of the Gospel message. Eoin was passionate about YCW and firmly believed in the ability of each young worker to make a valuable contribution to our Society. As a Chaplain he gently guided and encouraged each one to take on responsibility and develop their gifts and talents, always there with a helping hand and word of encouragement if things got difficult. He was a very bright and intelligent man, in fact I often remarked to him that he was “the cleverest person I know”, to which he would respond “you obviously don’t know many people, Vicky”, always self- deprecating and quick with his wit and humour. It was fitting that Archbishop Martin remarked on Eoin’s intelligence as he received his remains in Lusk, commenting on his valuable contribution to the Dublin Diocese through his involvement on many committees and as a former Vicar Forane. To his family Eoin will always be their baby brother of whom they were most proud, the proud uncle with a cheery “Hi folks” as he came in the room, a loyal and trusted friend and a tremendous and generous host as he entertained family and friends with his wonderful meals and of course, wine. To YCW he will be remembered as our guiding light, our go to when things got tough or the computers didn’t do what they were supposed to. It’s hard to imagine how we’ll cope in his absence. To me Eoin was my mentor, my spiritual guide and above all a best friend, the one person I knew would always have my back and on whom I could always rely to set me straight and point me in the right direction. This was especially true as I set out in the car on journeys to meet people around the country as we worked together in YCW Ireland. Our Movement is bereft but we are the better for having had such a wonderful friend and Chaplain in Eoin. His legacy will live on in the lives of those he has ministered to in his many appointments but mostly in the lives of those who had the great pleasure to call Eoin a friend. We offer our deepest sympathies to the McCrystal family, his priestly brothers, his parishioners, friends and to the YCW family.